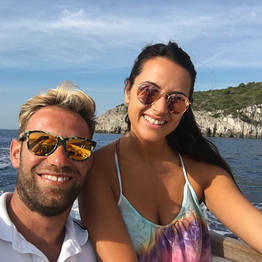 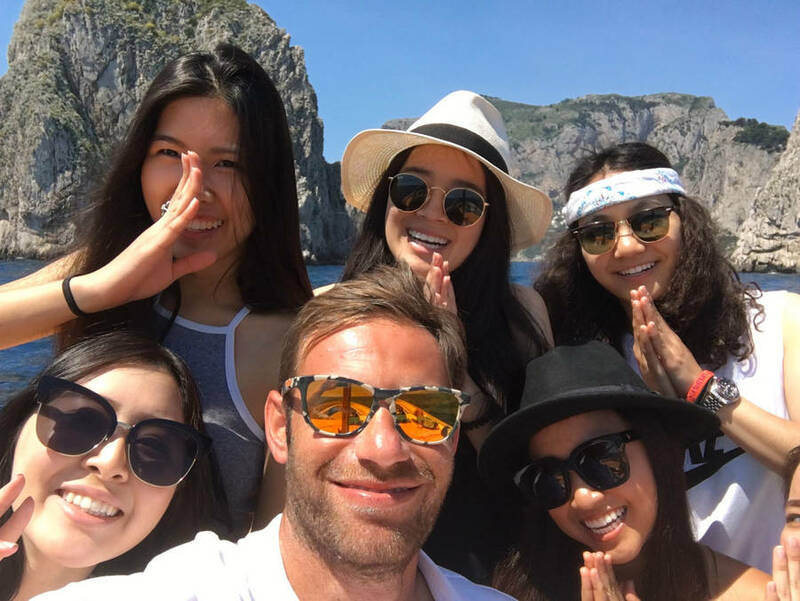 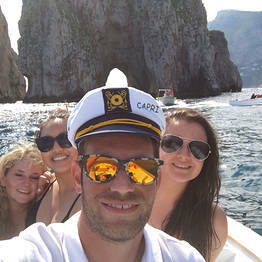 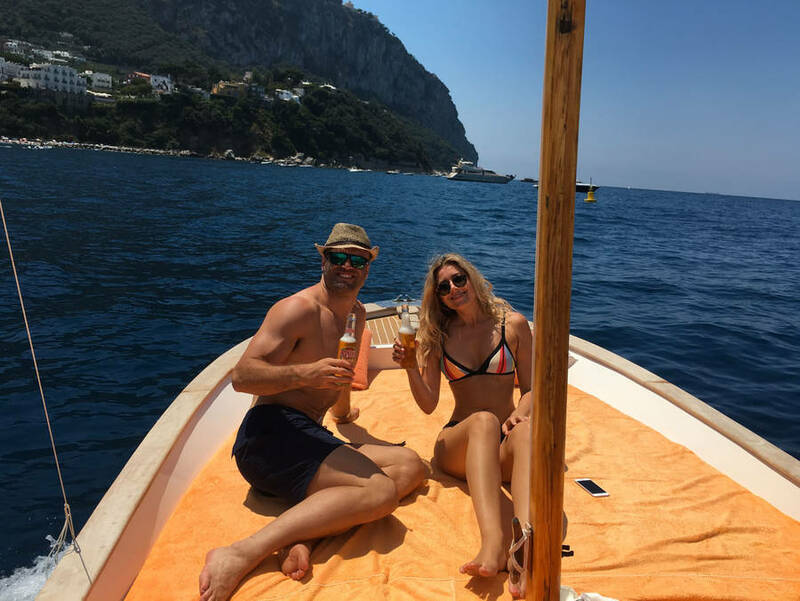 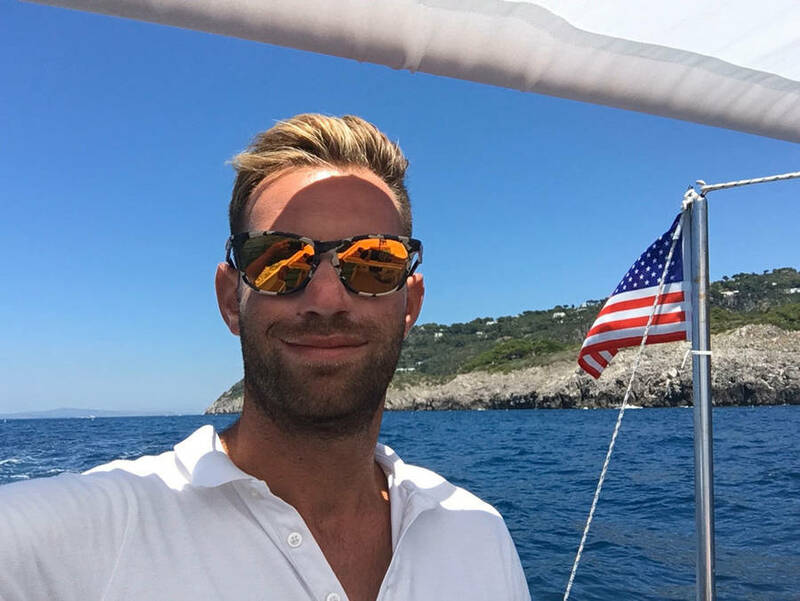 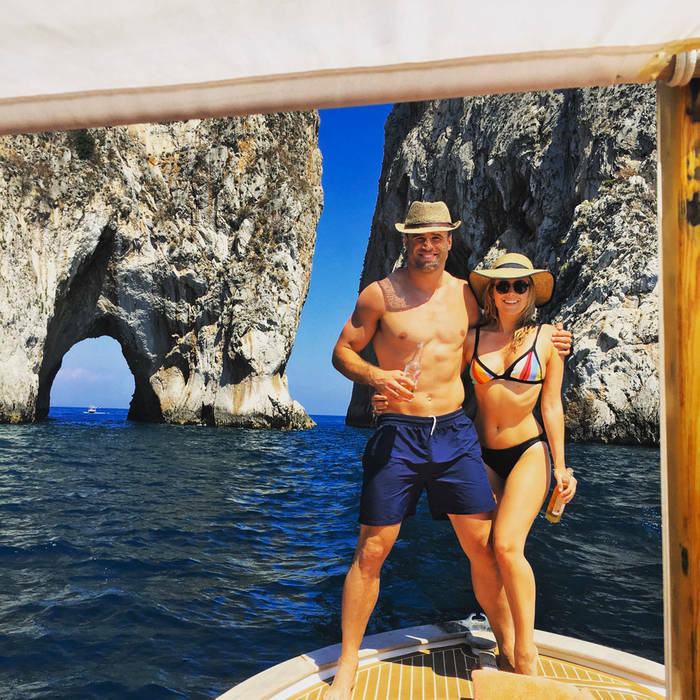 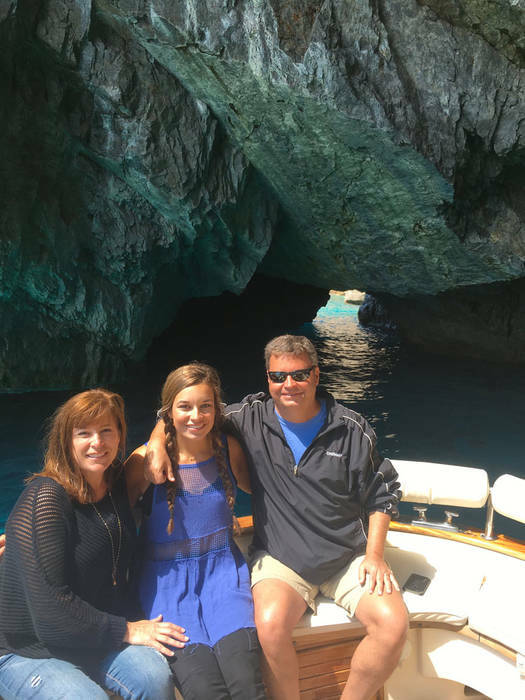 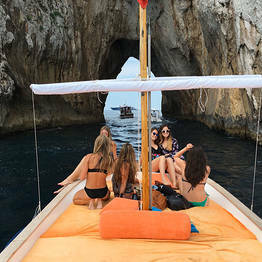 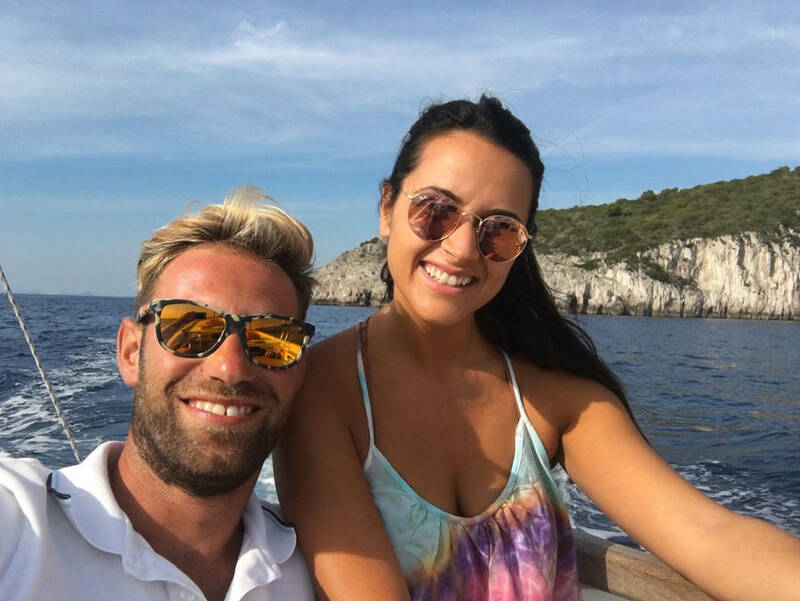 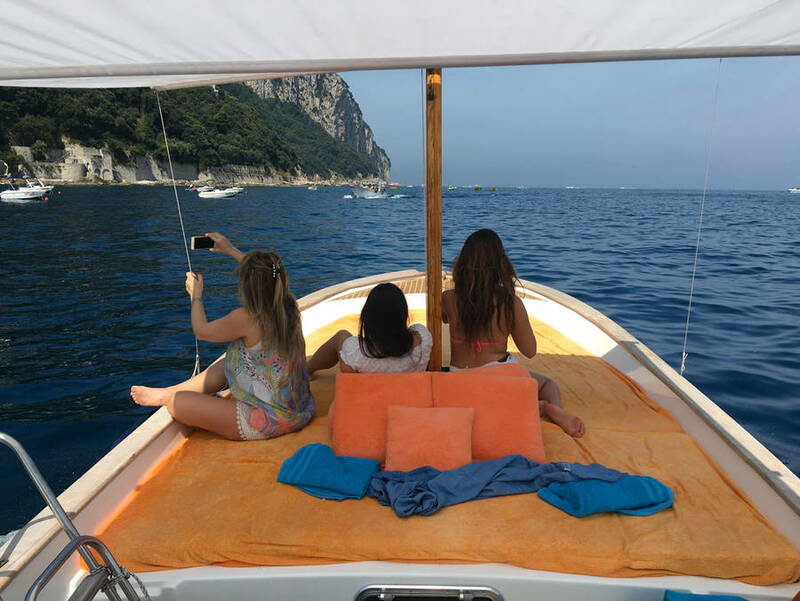 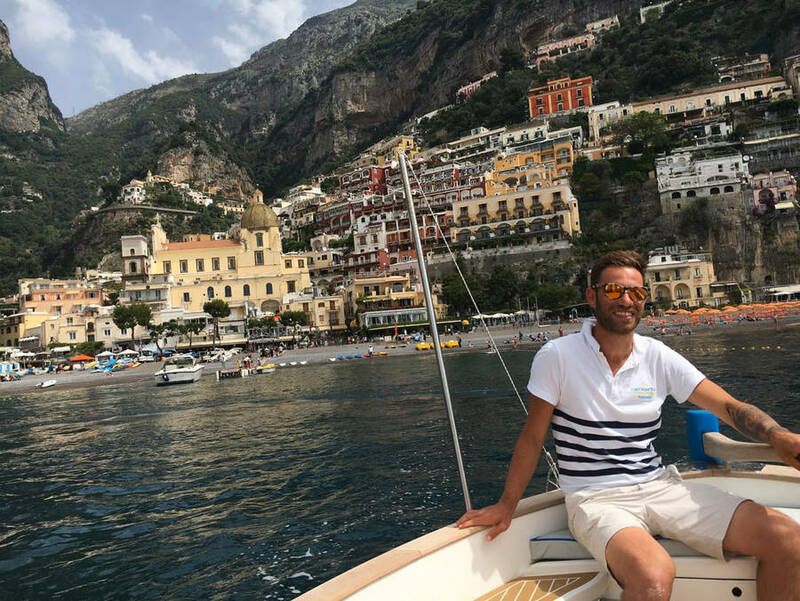 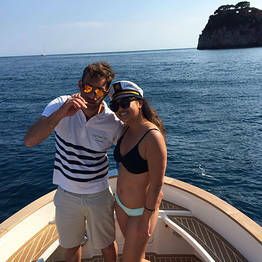 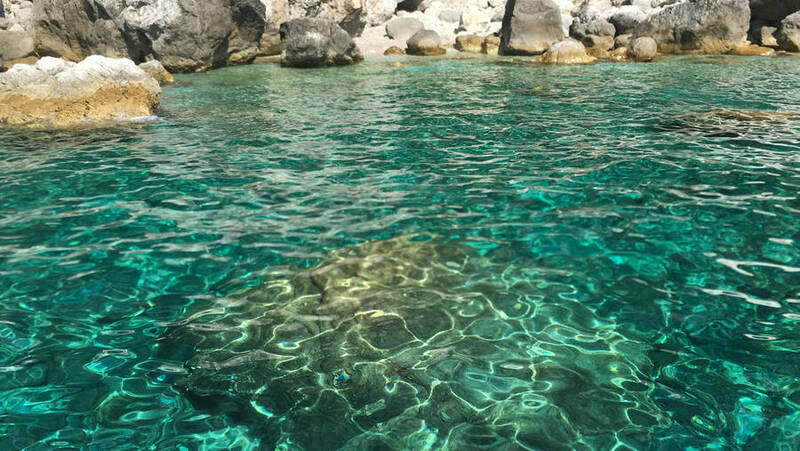 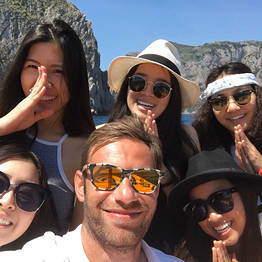 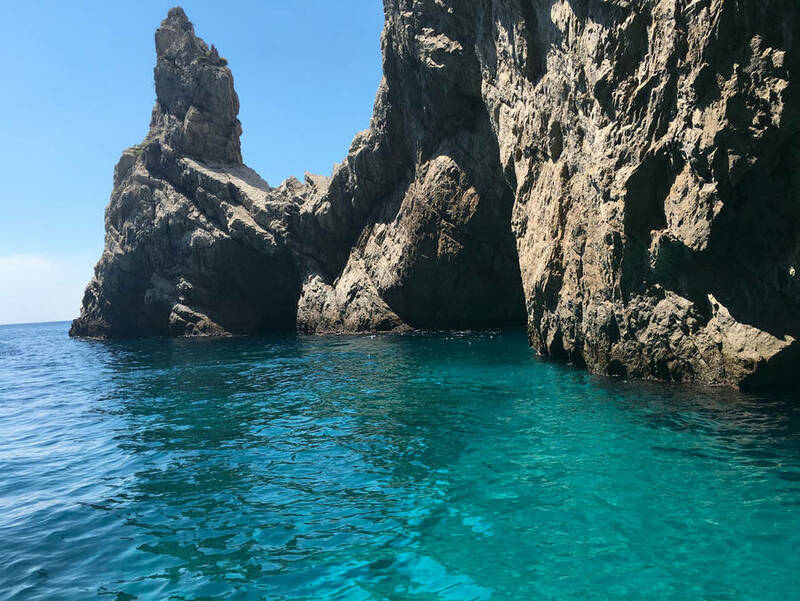 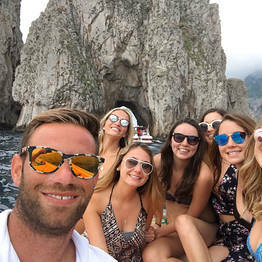 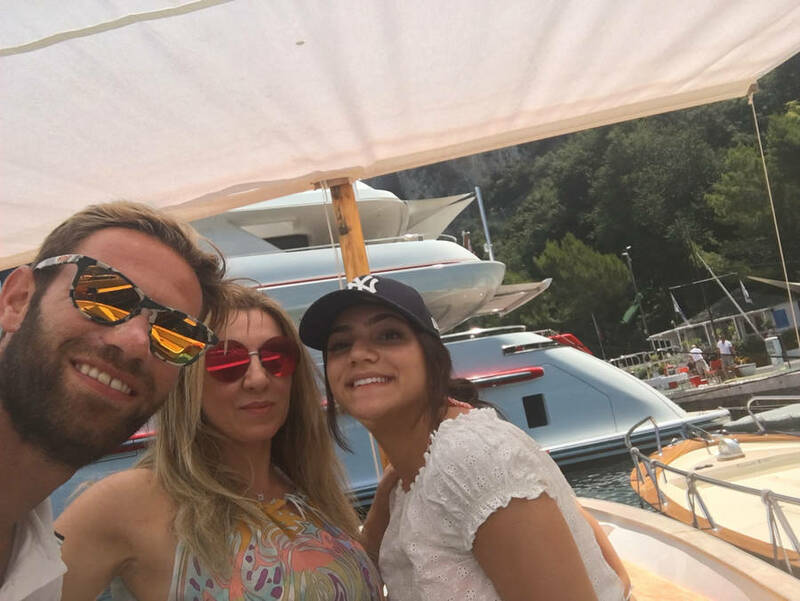 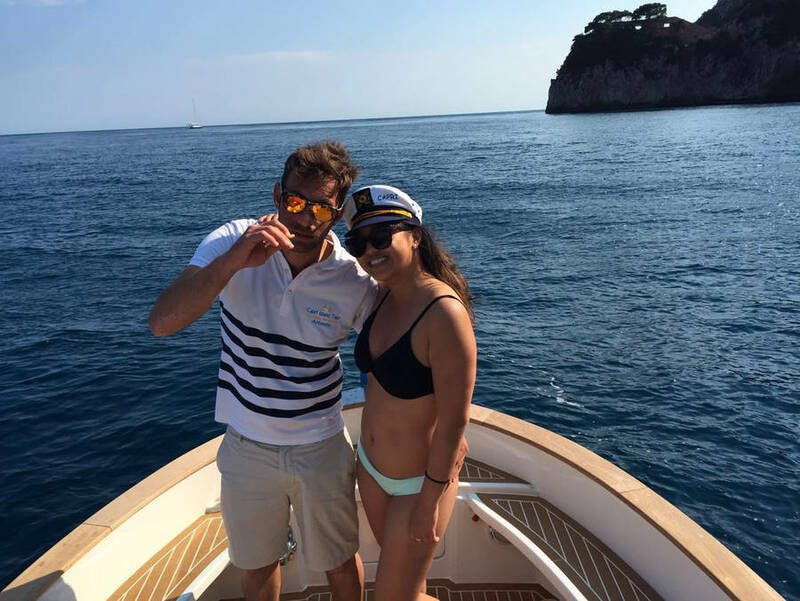 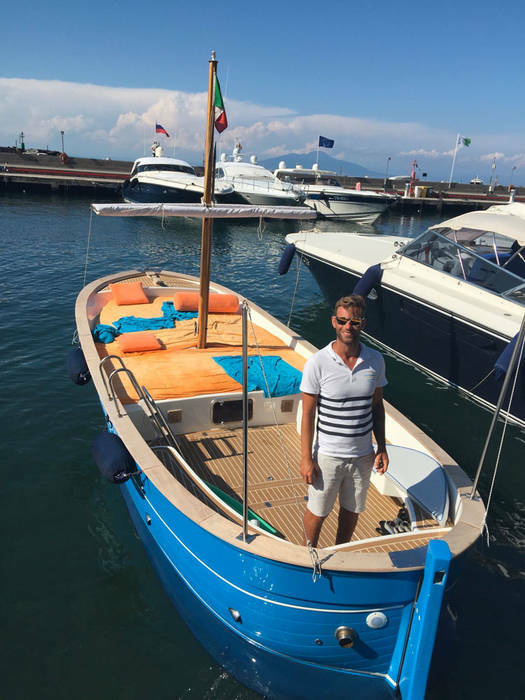 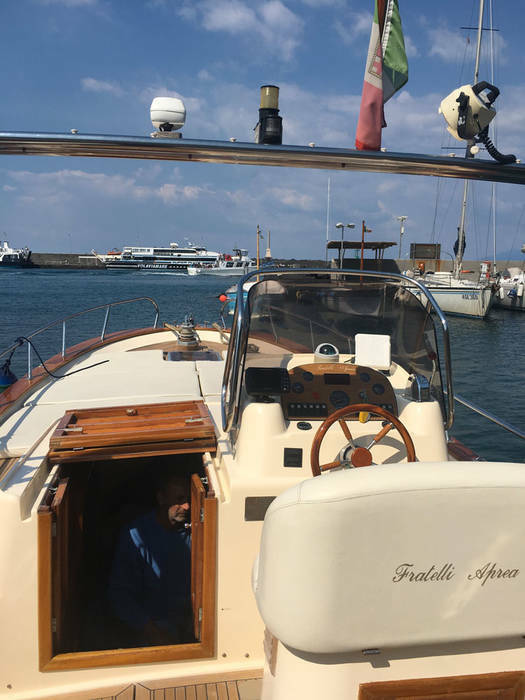 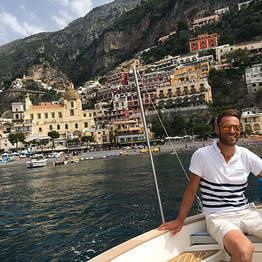 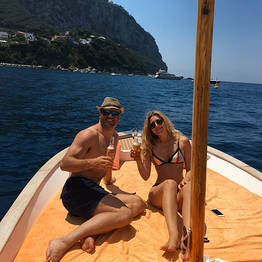 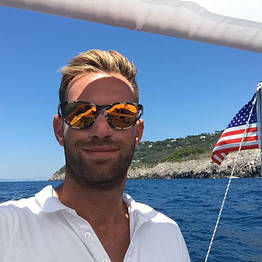 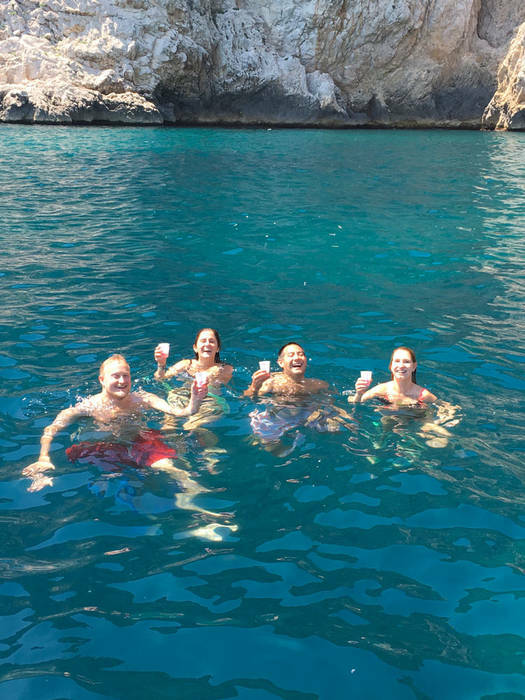 With Capri Island Tour you can discover all the beauty of the sea off Capri with the experienced and friendly professional skipper Antonello, whose passion is sharing this beautiful island with visitors on romantic sails or fun boat tours along the Amalfi Coast and Capri. 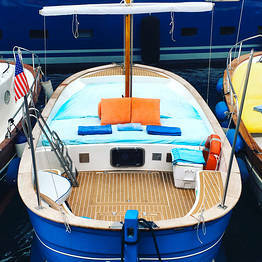 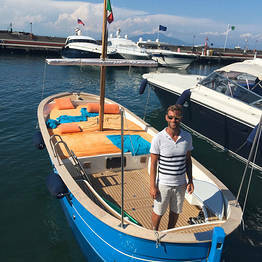 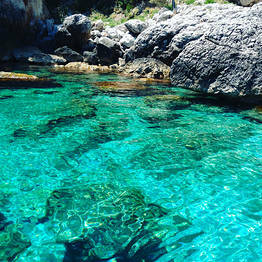 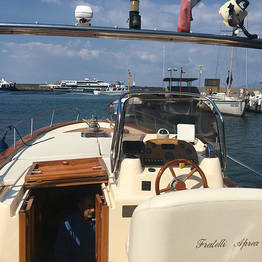 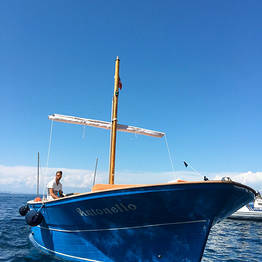 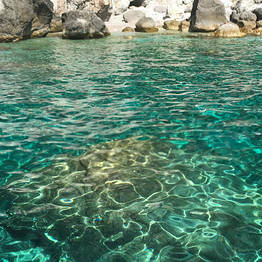 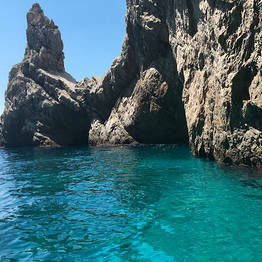 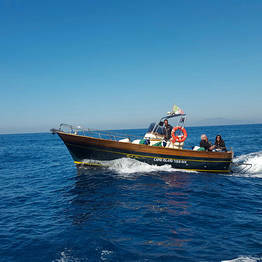 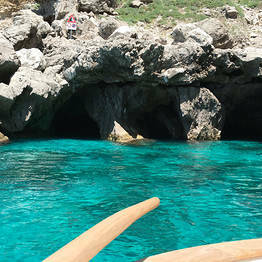 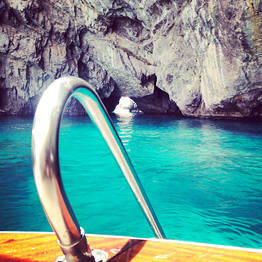 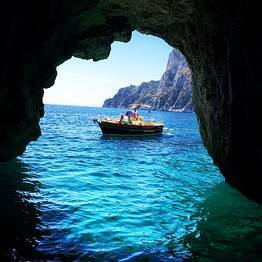 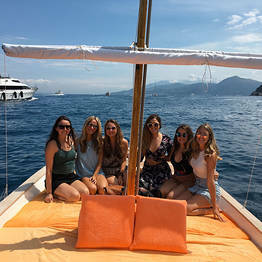 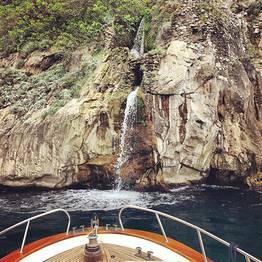 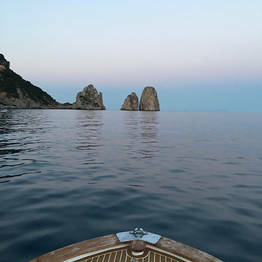 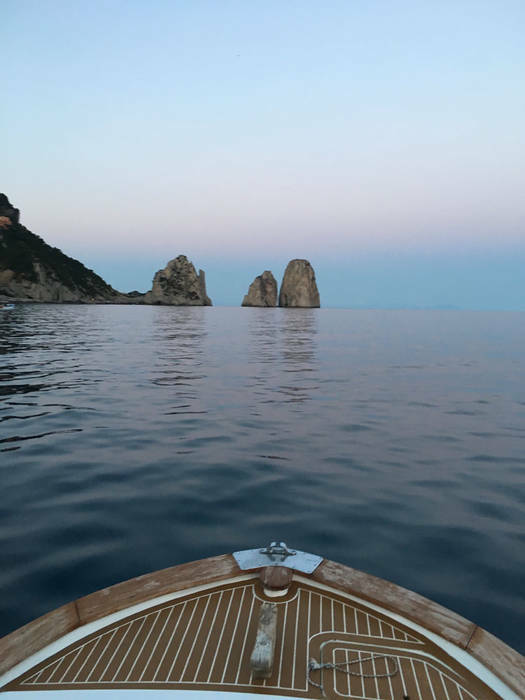 Hop aboard a traditional 7.5 meter gozzo boat and relax as you sail the turquoise waters off Capri. 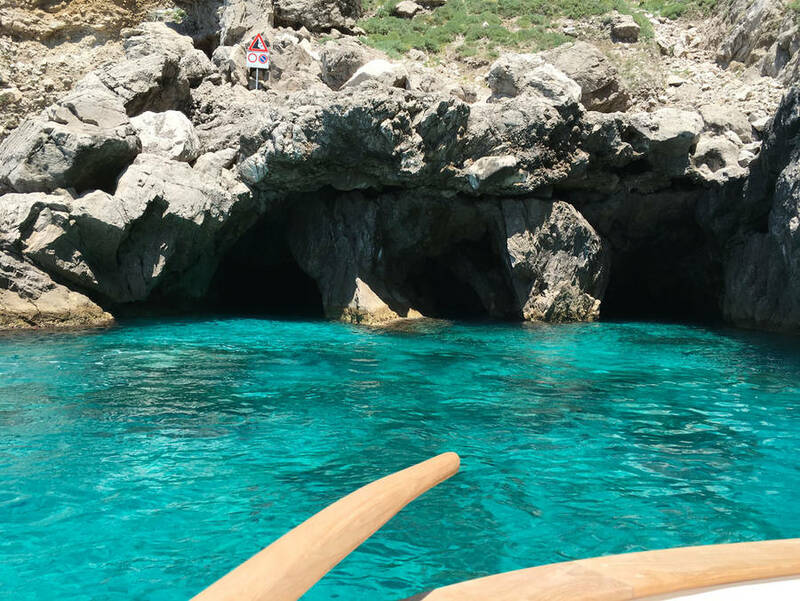 Spend the day enjoying this beautiful corner of the Mediterranean, take dips in the waves, and hear the history and culture of the island as told by Antonello including fun facts and anecdotes that only locals know. 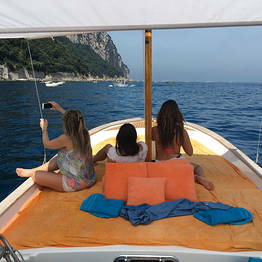 What can you expect to see on your boat tour? 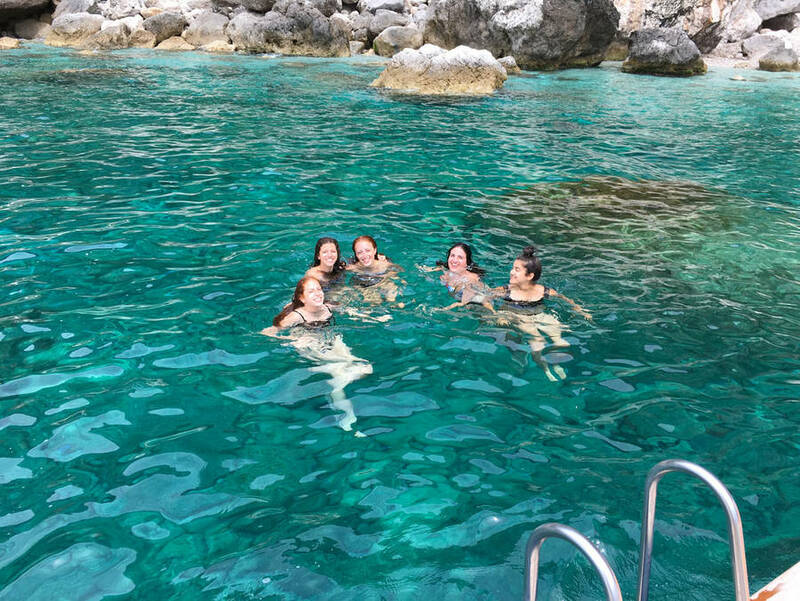 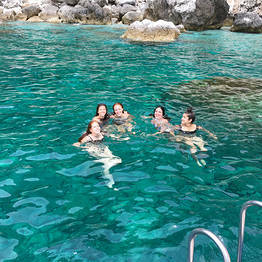 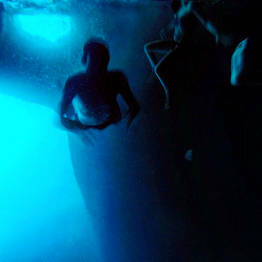 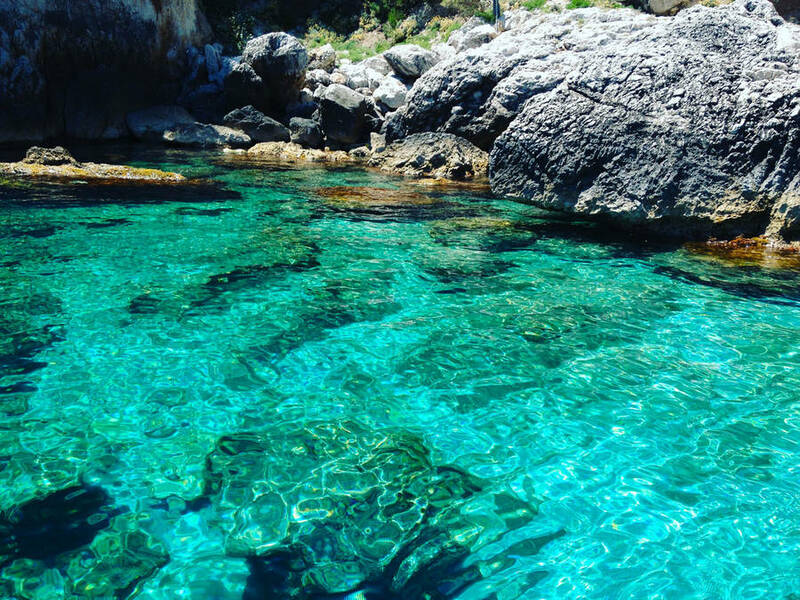 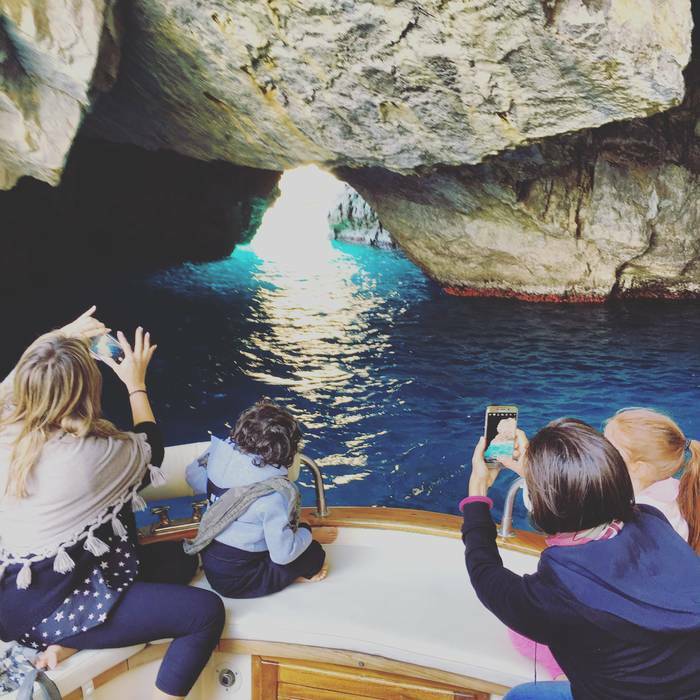 The beautiful sea caves of the White Grotto, the Green Grotto, the Coral Grotto, and the famed Blue Grotto, in addition to the Faraglioni, the Natural Arch, and the Punta Carena Lighthouse! 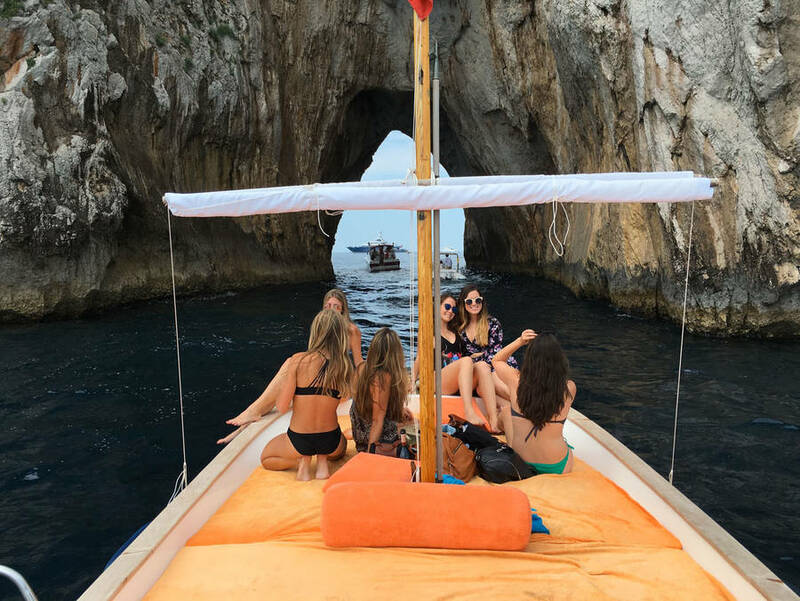 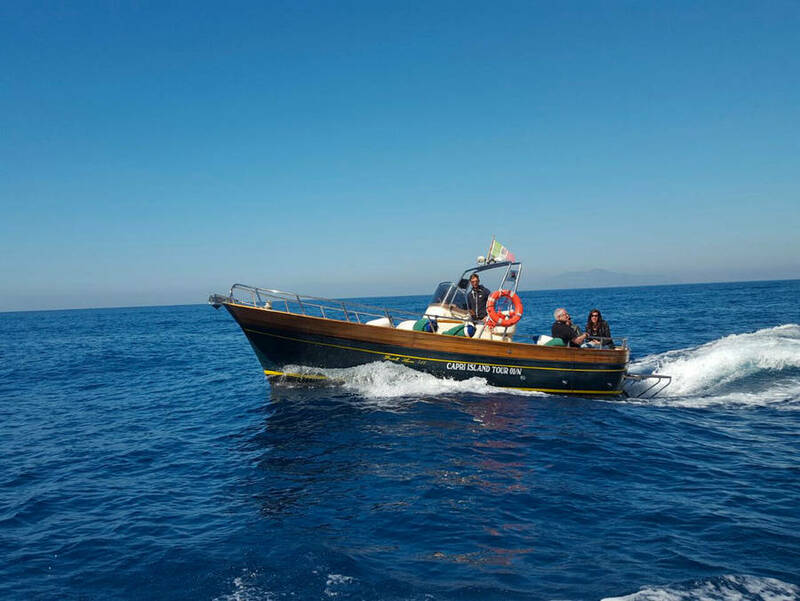 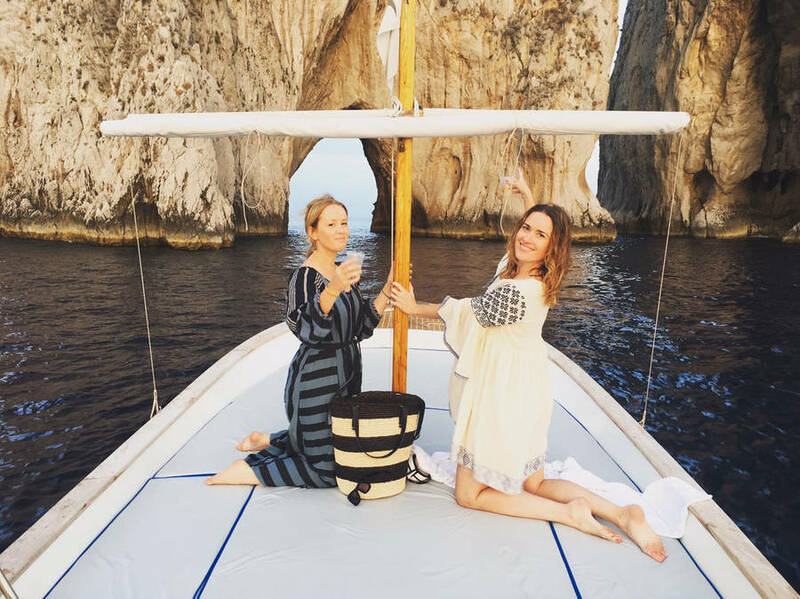 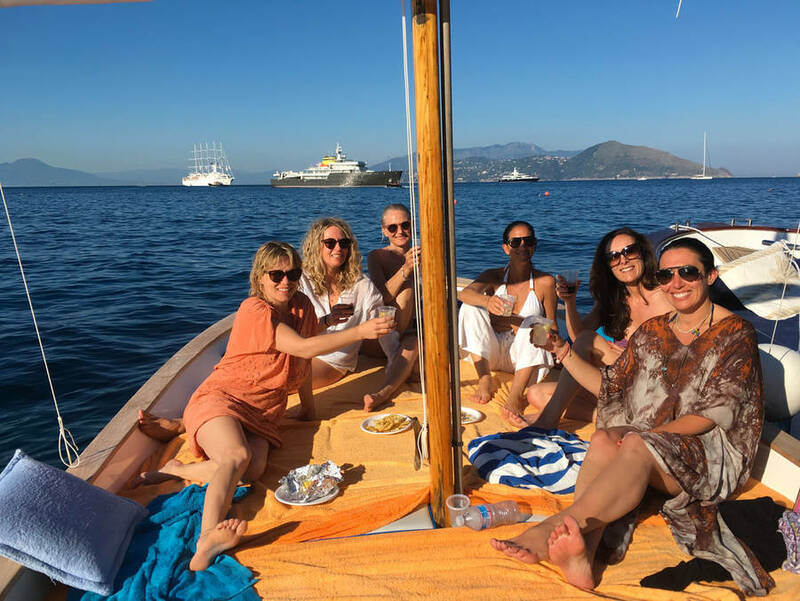 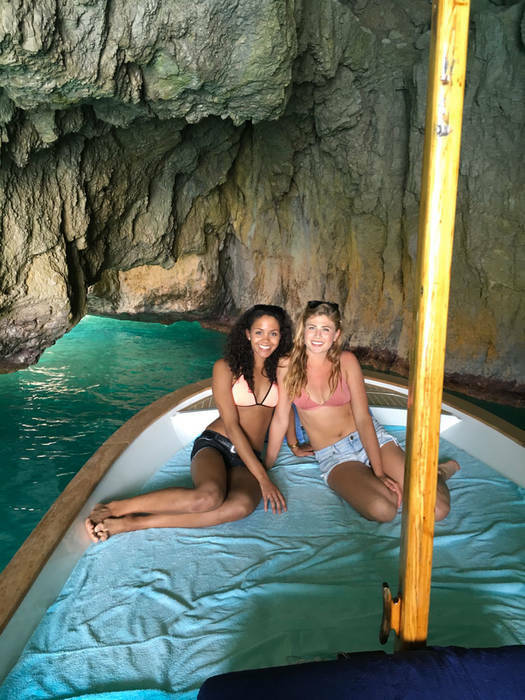 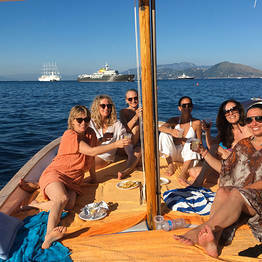 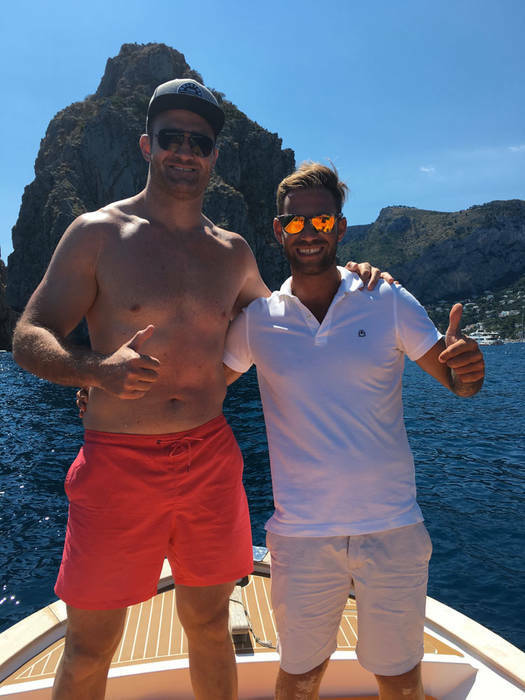 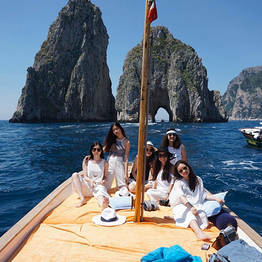 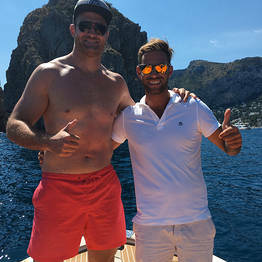 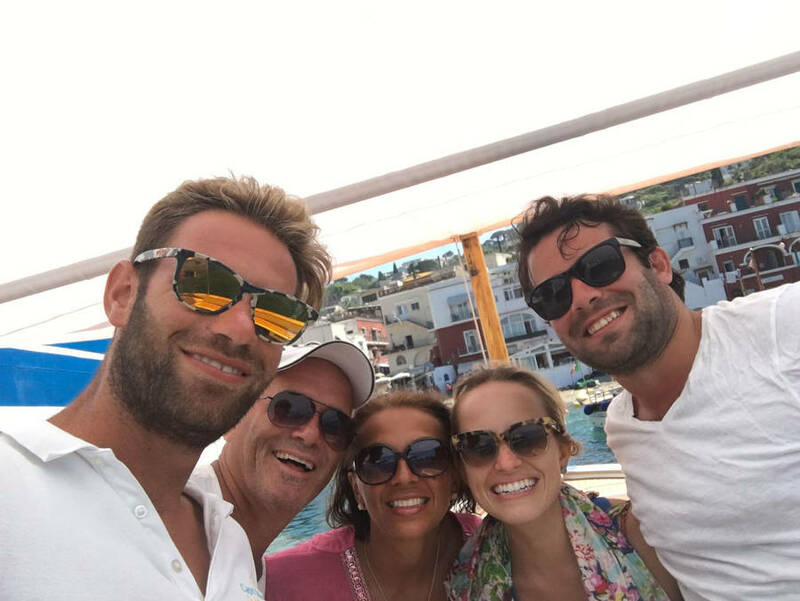 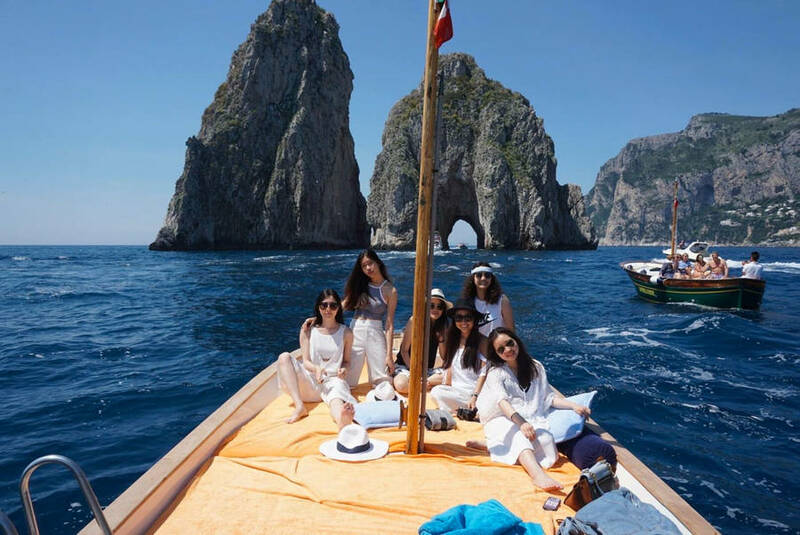 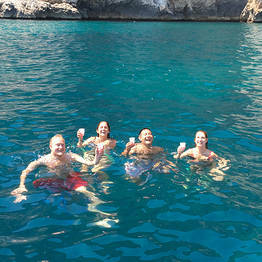 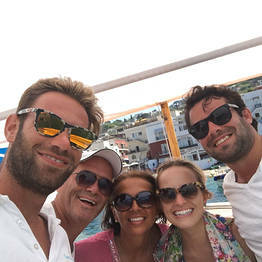 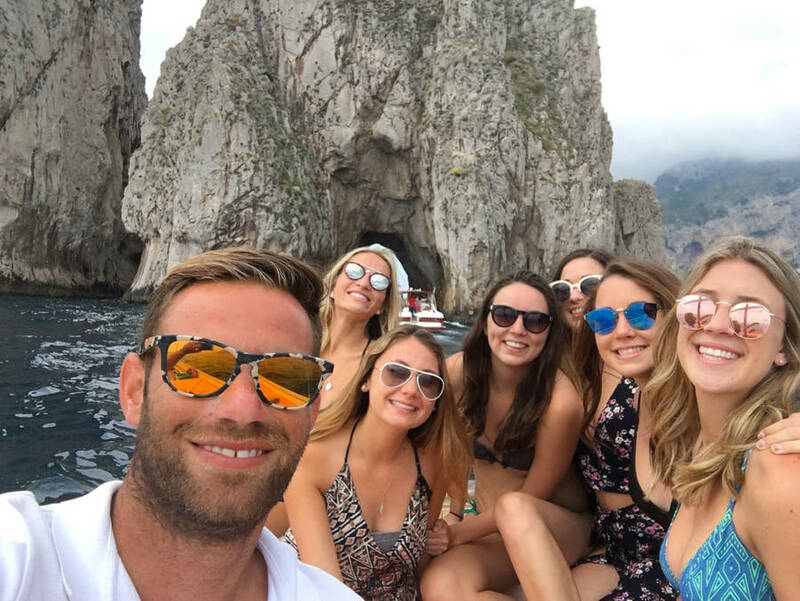 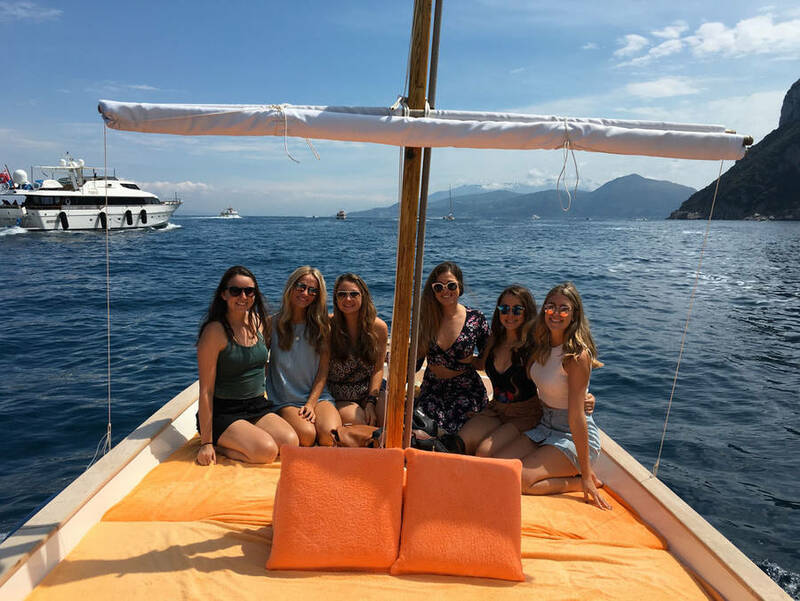 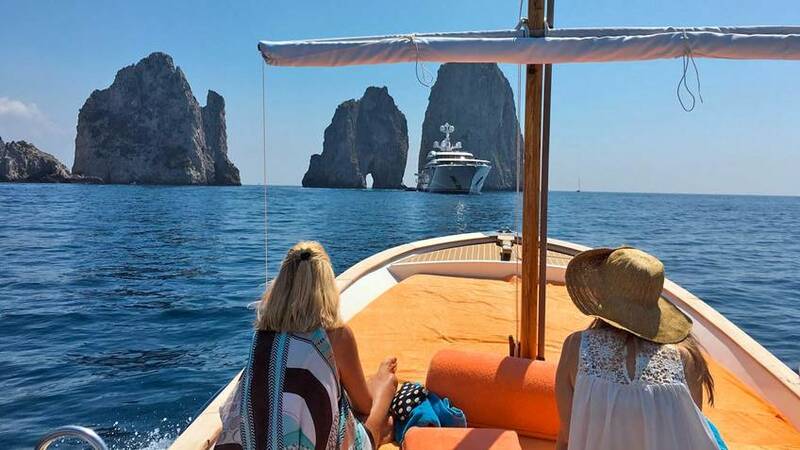 Laughter and good times are guaranteed on board the traditional gozzo boat piloted by Capri Island Tour. 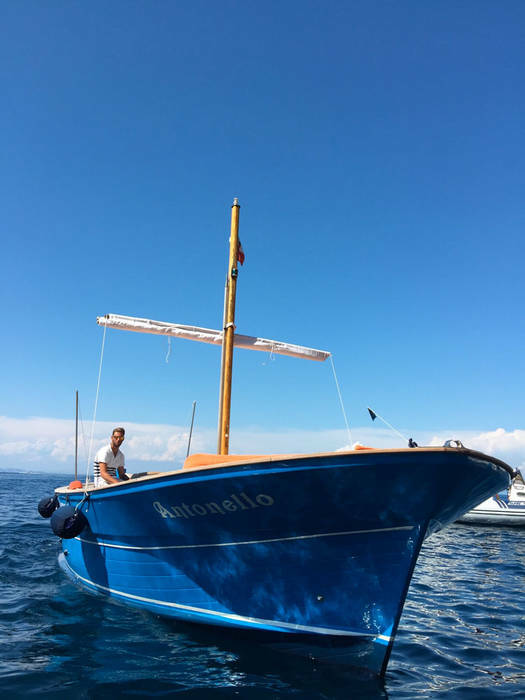 Antonello welcomes passengers like old friends so they feel immediately at home. 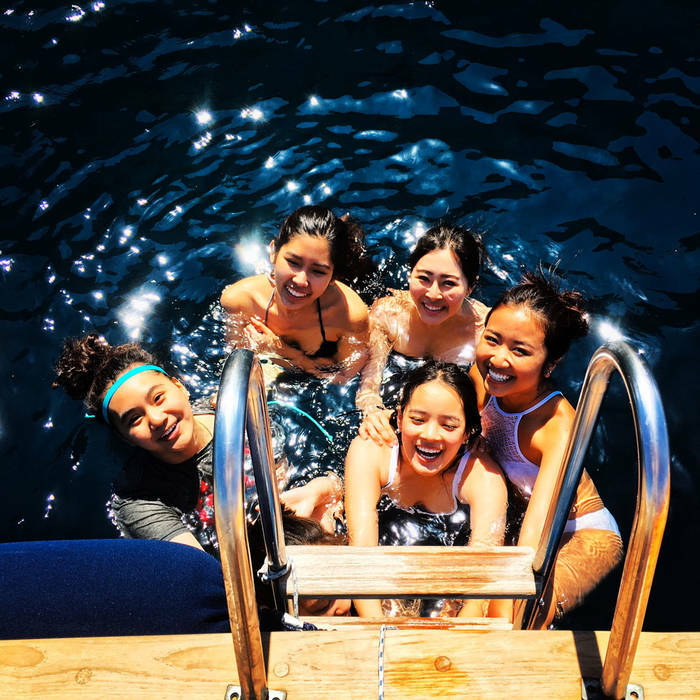 There is lighthearted music on board, a large sundeck to work on your island tan, snorkeling equipment, hand-embroidered pillows done in the historic island style, and an ice chest with soft drinks.